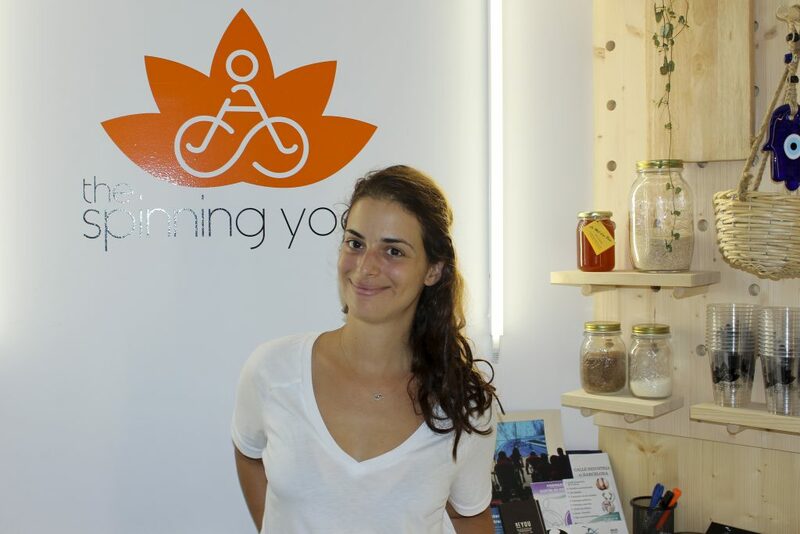 Former Online MBA student and friend of EU, Dr. Thelma Polyviou is making her mark on Barcelona’s blossoming health and wellness scene with her brand new business: The Spinning Yogis, which will officially open its doors this September. The stylish studio located in the heart of Barcelona’s trendy Gràcia district offers yoga and spinning classes, workshops, nutritional support and fitness tests. Dr. Polyviou spoke to us about the various ups and downs of starting a new business, the idea behind it and how her time at EU helped her along the way. Dr. Polyviou has vast knowledge and experience in the world of fitness and nutrition. Originally from Cyprus, she moved to the U.K. when she was 17 to pursue her studies and broaden her horizons. Here she obtained a B.S. in nutrition, master’s in clinical nutrition and PhD in nutritional sciences and exercise physiology. She then went on to work as a researcher at the University of Glasgow where she worked closely with professional athletes and conducted research on a variety of topics. She has also worked as a sports nutritionist at the Sportscotland Institute of Sport. 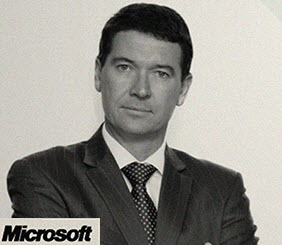 Dr. Polyviou moved to Barcelona in 2016. With plenty of academic knowledge under her belt, she decided to develop her business skills and enrolled on EU’s Online MBA program, specializing in international marketing. I chose the course at EU because it was exactly what I was looking for. All the modules were relevant, interesting and well-designed. After just one semester at EU, Dr. Polyviou was inspired to make use of her newly-acquired marketing skills and set up her own business. I realized that I had the ability to create something of my own. I learned so much about social media, advertising and branding, I also got the chance to do an internship with TravelClick where I gained some hands-on experience. There are so many things I wouldn’t be able to do in my business if I hadn’t done the course. With a passion for spinning and yoga, Dr. Polyviou decided to combine the two complementary disciplines with her knowledge of nutrition and physiology to set up her own studio to offer people a holistic experience. Yoga and spinning complement each other. Yoga teaches you how to pace yourself, helps you get to know your body but challenges you at the same time. It also teaches you about breathing, which helps you with spinning. We offer a variety of classes such as acroyoga, yoga dance and yoga for cyclists, as well as traditional vinyasa and hatha yoga sessions. The first thing I did was come up with the name. The Spinning Yogis made sense and had a certain ring to it. I then got a logo made, found some investors and it all went from there. I found a space, renovated it and then I started finding teachers. It hasn’t been all plain sailing, however, and Dr. Polyviou has experienced some ups and downs along the way. It has been a bit frustrating at times, because we wanted to open earlier but you have to get various licenses from the council and this can be a very slow process, particularly in the summer. But all Dr. Polyviou’s hard work has paid off and the studio is now ready for the public. Although it doesn’t open officially until September, visitors can now try out the exciting array of masterclasses on offer. I think starting a business is a great thing to do and can be very rewarding but you have to be passionate about it and really commit. There are so many problems along the way that if you don’t believe in it, it simply won’t work. It’s also very important to find loyal staff who you can trust. It makes a huge difference. To find out more about our online programs, click here.